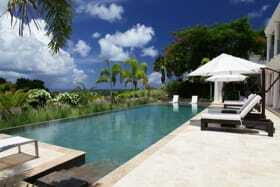 Your luxury property in Barbados is exceptionally unique, and this should be reflected in the way it’s marketed. As the leading real estate firm for luxury property and real estate in Barbados, we have perfected our sales strategy in six steps. 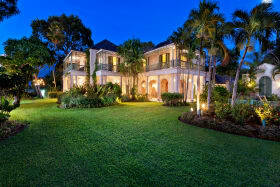 Here’s what you can expect when working with Terra Luxury to sell your luxury home in Barbados. All of the clients and properties that we represent at Terra Luxury are unique. That’s why we believe it’s important to take the time to get to know you and your objectives. Whether you have specific preferences regarding the timing or conditions of the sale, the inclusion of select furniture or art, or any other aspect, we actively listen. This information allows us build sales and marketing strategies that are tailored to meet your specific goals when selling your luxury property in Barbados. The marketing of any property begins with a comprehensive assessment of the current real estate market. At Terra Luxury, we are passionate about knowledge and invest heavily in acquiring and banking market data that serves you in the sale of your home. We show our clients detailed market information from our database, including recent sales and list prices of other comparable properties. Together, we are then able to determine a marketing price that best reflects the exquisite quality of your luxury home in Barbados. After studying the market together, our next step is to identify and inform you of the likely buyer profile for your luxury property in Barbados. The buyer profile allows us to discuss and implement sales and marketing strategies that are sure to attract your ideal buyer. There is little guesswork in what we do. We use relevant information based on facts and data, and collaborate with you to plan sales and marketing campaigns that deliver results. Once we have agreed upon the marketing strategy for your property, our team begins all the pre-sales initiatives. We work with a professional photographer who specializes exclusively in luxury home photography and diligently prepare all the sales materials. Our team creates brochures, arranges signage, and crafts listing descriptions with SEO-friendly keywords that enhance the visibility of your property online. As our agents actively showcase your property, our intelligent real estate system works behind the scenes to uniquely match your property to ideal buyers within our extensive database. Once vetted by the agent, the prospects are immediately notified of your listing. The same system lets you view reports on the sales activity of your property from email campaigns, number of weekly property showings, and more. We keep you informed on what’s happening with the sale of your property at all times, so you know we are always working for you. 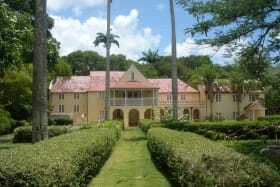 Our team works hard to assist our clients in selling and purchasing the finest properties in Barbados. View some of our most recent notable sales.